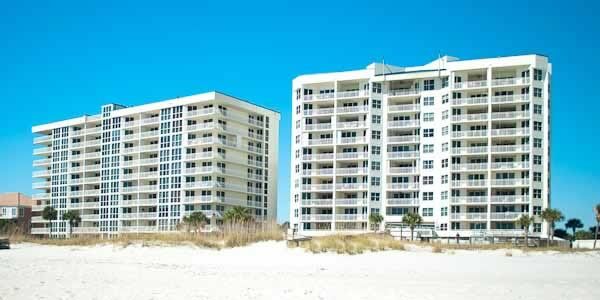 Built in 1984, the SeaSpray condos on Perdido Key Island remain one of the favorite vacation resorts on the Emerald Coast due to this condominium's unique offering of both beachfront and riverfront lifestyles. The West and East Gulf Front buildings are direct beachfront, boasting a zero-entry pool, oceanfront pool, hot tub, and fitness rooms. Facing Old River, the Riverside building offers a third pool, tennis courts, boat ramp, slips, and docking facilities for boat lovers who love riding on the water instead of wading the surf. There is even a fishing pier at SeaSpray. The two gulf-front buildings have two bedrooms, with more that 1200 square feet are priced near $400,000 while the Riverside building also offers three bedrooms, two baths 1650 square-foot condos sell in the range of $300,000. For those who are interested in rental income, Sea Spray's long-standing popularity offers an investment, with an on-site rental program available. Perdido Key FL is rated one of the top 20 beaches in the United States and provides a more natural kind of vacation fun than the resort cities of Destin or Pensacola. Aside from the SeaSpray's private stretch of beach, over half of the rest of the island has three protected beach areas. The Big Lagoon State Recreation Area, Gulf Islands National Seashore, and the Perdido Key Beach State Recreation Area are owned by the state and are conservatory wetlands. You will find an Audubon Sanctuary golf course called the Lost Key Golf Club. Golfers and nature lovers alike will enjoy the game while sharing the greens with egrets, herons, and other tropical birds and animals. Also, Perdido Key is also only about 15 miles from Pensacola, so when you crave the big city lights and restaurants, you are just a short drive away from it all. If you would like to buy a vacation home where your boat can dock, SeaSpray is the perfect resort to find a splendid condominium. Whether you choose the beach side or the river side, the amenities and location of this beautiful resort make it a great place to play or even live year round. 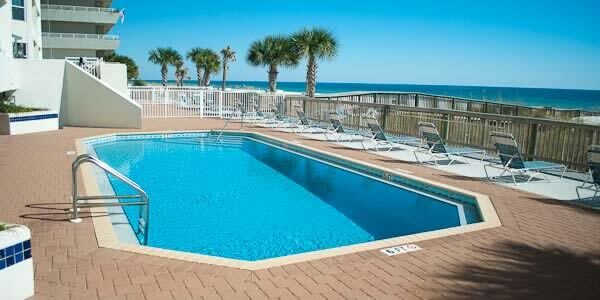 Call us for a tour of the island and condos for sale in SeaSpray of Perdido Key. If there are no Seaspray Condos listed for sale below, or you do not see what you are looking for, Contact Us and we will try to locate owners, on your behalf that are interested in selling.